From 1919 to 1925 Bauhaus was based in Weimar where it emerged from the merger of the Großherzoglich-Sächsische Kunsthochschule and the Kunstgewerbeschule. Walter Gropius, the initiator and director, established Bauhaus with the intention of creating an institution which would marry art with industry, trade and crafts. In context of the practical training the Bauhaus workshops played a central role and existed as an equal party to the theoretical studies. 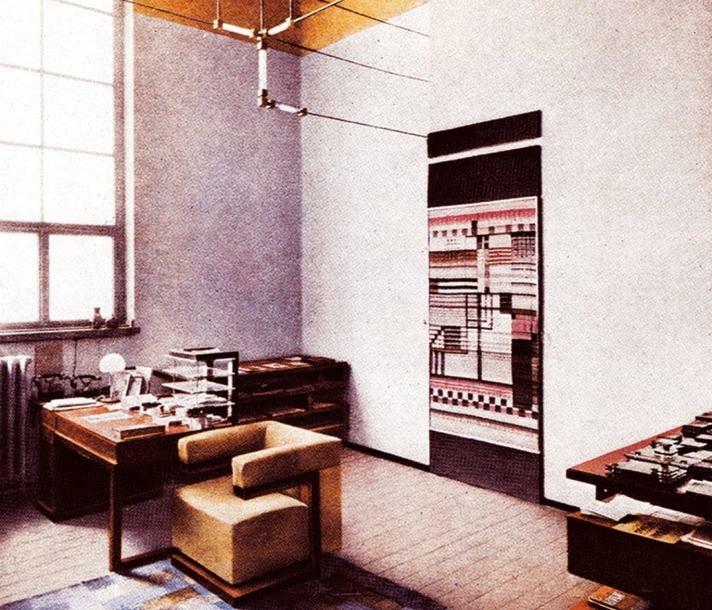 Despite Gropius's aims Bauhaus didn't start cooperating with industry until 1922, and in 1923 an exhibition under title "Art and technology - A new unit" was staged, in which the Bauhaus furniture, lamps and accessories interspersed easily and openly into the rooms. 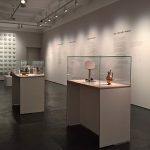 The resonance of the exhibition was such that it established the international reputation of Bauhaus furniture, buildings and art: a reputation which remains undiminished to this day. In 1925 the right-wing conservative regional government forced the closure of Bauhaus Weimar, leading to the subsequent move to Dessau. 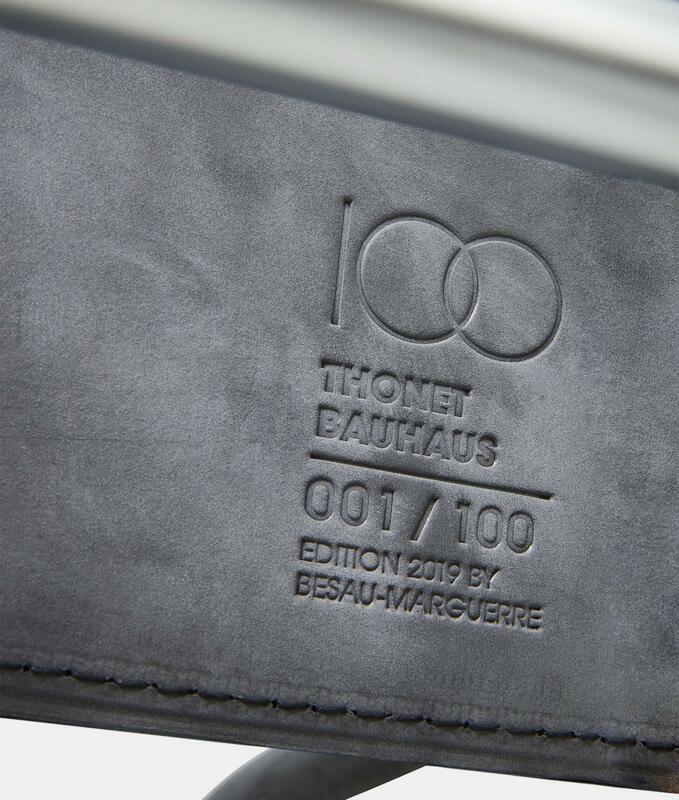 In the course of the following seven years the most famous Bauhaus furniture was developed in cooperation with local industrial companies such as Junkers aircraft factory, Waggonfabrik AG and Berlin-Anhaltische Maschinenbau AG. 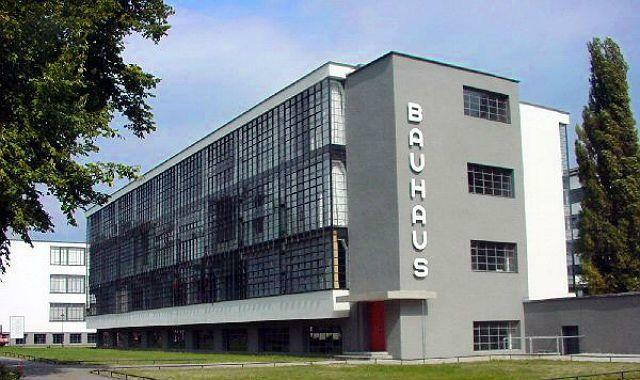 In 1932 more political interference saw Bauhaus relocated to Berlin, before in 1933 it closed its doors for ever. The credo "beauty should be combined with usefulness" became popular during the Enlightenment in the eighteenth century, and a century later the idea that art, crafts and industry should be united was firmly established. One of the leading protagonists being the German architect Gottfried Semper who after visiting the London World Exposition in 1851 wrote that the connection between art and industry can best be established through teaching: a position most popularly realised through the Bauhaus. In terms of objects one of the most important of the period was Chair No. 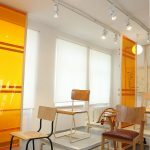 14 by Michael Thonet, released in 1859 the chair with its reduction, functionality and innovative use of material made it very popular with the coming generation of architects and designers and in many respects served as a model for Bauhaus furniture. The start of the 20th century saw the crystallisation of many of these ideas in the formation of the Deutsche Werkbund - German Federation of Architects and Designers - an organisation to which Bauhaus founder Walter Gropius also belonged. During the Bauhaus a number of technical "miracles" appeared which radically altered the everyday social, economic and political realities: express trains, aeroplanes, affordable cars, street lighting, electrical lighting and telephones in the home and all manner of new household machines and appliances. These technical innovations allowed the establishment of an industrial culture, including the mass, series production of furniture, while the new means of communication and the new mobility promoted an unprecedented international dialogue amongst furniture designers. 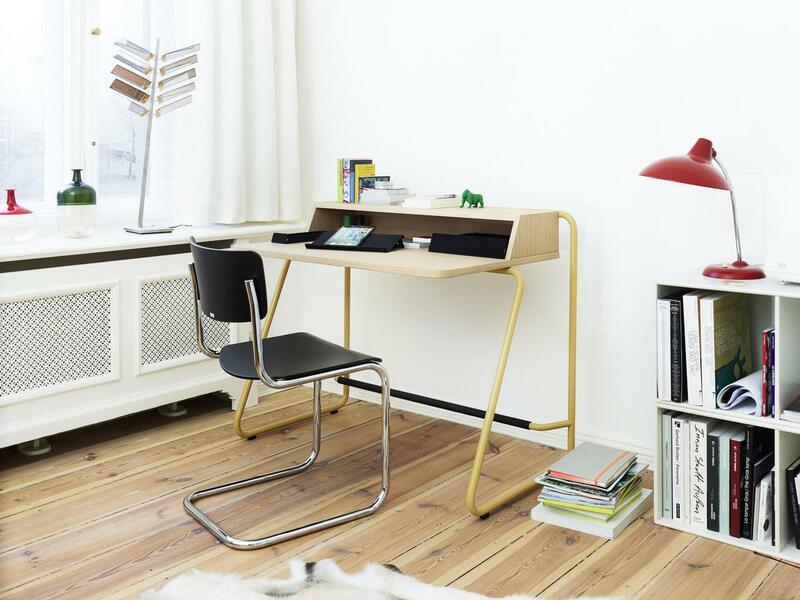 The Dutch architect and furniture designer Mart Stam designed the first cantilevered steel tube chair in 1926, taking up from where the De Stijl movement had begun with steel tube furniture. 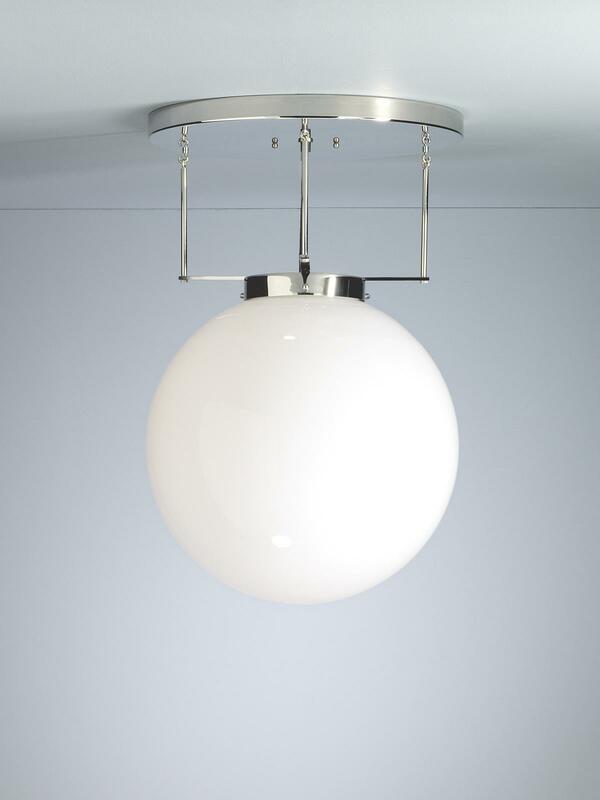 At Bauhaus, artists, sculptors, architects, designers and craftsmen were able to work together in an unprecedented way, thus further developing the Bauhaus style in various directions. 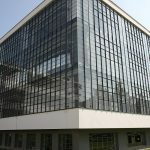 The designs of the Bauhaus design furniture were intended to meet the dual demands functionality as well as those of advanced industrial series production. The Bauhaus theory saw the arts and the architecture as inseparable, and this is reflected in the Bauhaus furniture design classics. Among the most fastidious Bauhaus protagonists was the architect and furniture designer Ludwig Mies van der Rohe. Among Mies van der Rohe's most famous furniture design classics is the Barcelona Chair and stool, which he designed for the German pavilion on the occasion of the 1929 World Exposition in Barcelona. The steel frame and the leather-covered and button-seated seat and back cushions characterize this chair as uncompromising, aristocratic and elegant. The furniture designer Marcel Breuer began his studies at Bauhaus in 1920 and acquired his Master title at the time of Bauhaus's move from Weimar to Dessau in 1925. From the very beginning Breuer was regarded as a pioneer in the innovative use of materials, for all wood and metal. In his text "Metal Furniture and Modern Spatiality" Breuer described the aim with his Bauhaus furniture as being to create objects which stand in space in such a way that they interfere with neither movement nor the view through the room. The famous Laccio Bauhaus tables, designed by Marcel Breuer around 1925, consist of a combination of chrome plated steel tubes and wooden surfaces, and today Knoll International still produce the Laccio Table. The Wassily steel tube armchair was also designed in 1925 and was designed for the Dessau studio apartment of his colleague Wassily Kandinsky, from whom the name for the Bauhaus classic was also derived. 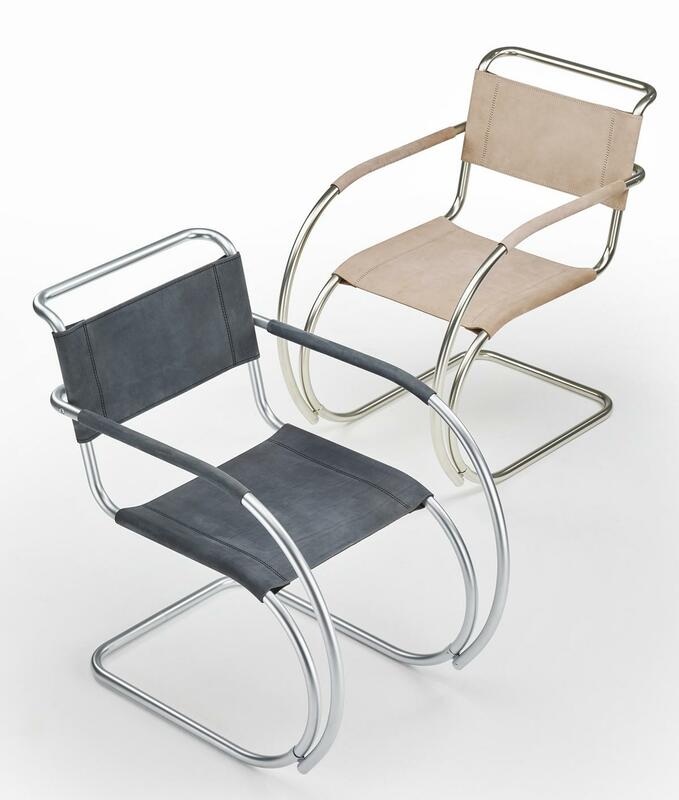 In 1928 Breuer added a steel tube chair following the typical Bauhaus design to his portfolio. The Bauhaus furniture designers refrained from using unnecessary decorations and colour, and instead used simple but strikingly chrome plated surfaces complemented by the regular use of black. Steel tubes offering as it does numerous benefits, such as high load bearing capacity, low raw material costs, low weight and good formability, greatly contributed to the resulting exceptional design and ease of transportability. The plywood used for Bauhaus tables and chairs consisted of several thin wood layers glued together, which ensured an ease of moulding. However, the typical curved shapes were also created because the welding work could thus be minimized. 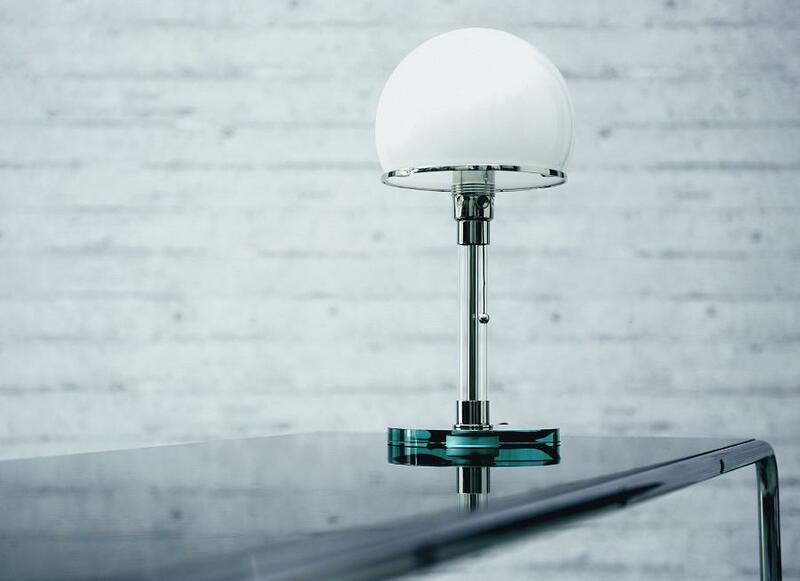 The use of glass in table tops formed a direct link to the architecture of the time, which focused on the use of glass and steel in the construction of new buildings. Reduction in Bauhaus design is particularly present in the case of the cantilever chairs, where the traditional 4 leg frame was dispensed with. The combination of tubular steel with a wicker mesh makes Thonet furniture the very epitome of Bauhaus furniture design. 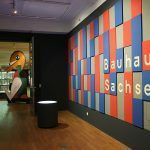 On the occasion of the 100th anniversary of the Bauhaus, numerous theme-specific exhibitions and celebrations will take place in 2019. 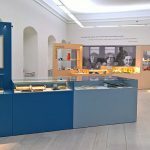 As part of the "100 Years of Bauhaus" anniversary programme and under the motto "Thinking the World anew", Bauhaus Verbund, together with regional and international partners, is inviting visitors to discover the extensive history of the art school, which still has an impact on living and coexistence in society today.